Ok so I have yet to dive into canning…mostly because the cost of all the do-da’s some to a be a bit high for something I may end up never using. 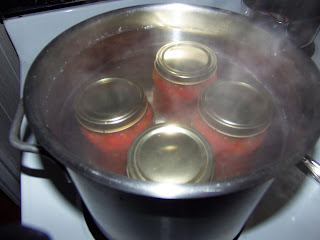 But I came across this option..which seems to be a great beginner canning thing. Note: This kind of canning is not for vegetables or meat…it is more for jams and jellies, applesauce pickled veggies and tomatoes. 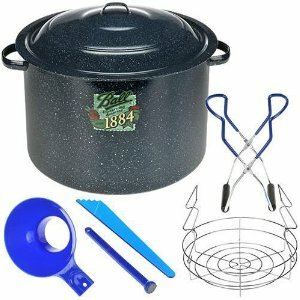 If you get good at it and want to dive into the meats and veg’s then you can do some research into pressure canning. And of course Jars, they sell varitiey pack on the sizes that may be a good start. Lids and flats also call snap lids and Rings. The nicer ones are reusable so they are the better deal but I am goning to hold off on them till I get more into it. 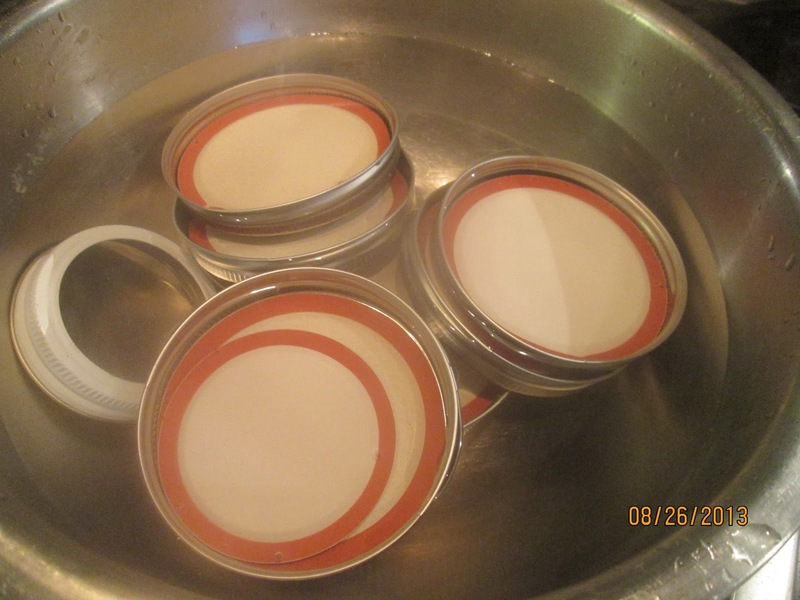 Step 1 : make sure to sanitize you jars lids and rings….If you do not have a dishwasher then you will need to boil them for 10 min. Step 2: place the rack or towel in the bottom on your pan and fill it till you have only 4 or 5 inches at the top (for from when you add the jars). And now bring the water to a boil. Step 3: Fill the Jars use that funnel…I am going with a ladle to pour my sauce in (I am doing tomato sauce) You can do jellys or pickled what ever. (leave a little room at the top do not fill them all the way….just safer. Step 4: Now it is time to put flat on make sure it is centered right and press on it to make sure it is sucure. And then put the ring on…BUT make sure they are dry and make sure around the top of the jar is dry to! Step 5: Time to place you jars in the water! This is where the jar lifter will come in handy. Place slowly in because the boiling water may bounce the jars around a bit. Try to make it so the jars do not touch because they can break each other. MAKE SURE THE JARS ARE COMPLETELY SUBMERGED UNDER WATER! (at the least make sure there is water over the lips…they do not have to be cover in 10 inches of water just enough to cover them. And then cover with the pots lid. 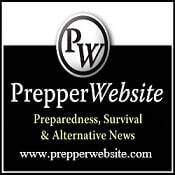 ( Now timing will all depend on what you are canning….so it is best to a recipe that will give you that. Step 6: Once you the time is up turn the pan off let the jars sit in the pot while the water cools a bit….this will help prevent the jars from breaking due to temp. change. Then use your jar lifter, carefully remove the jars from the boiling water. Tip the jars to the side to allow the hot water to drip off the top. Then place the jar on your towel or heat-proof surface. Let them be….. Allow 12-24 hours for the jars to cool and seal. You will hear a a popping while the the jars seal in the cool air. The lids are getting sucked down and forming a seal to the lip of the jar. You can remove the rings when you store the jars, it keeps the from rusting because of mostture stuck between the glass and the metal. I have left them on with no issues. Last but not least make sure to store the jars in a cool dry place.